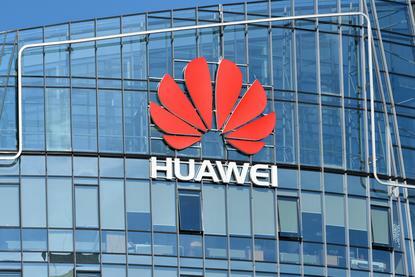 Huawei has unveiled an artificial intelligence (AI) strategy and a portfolio of supporting products built on two new microchips, which the telecoms giant claims is the world's first AI IP and chip series designed for a full range of deployment scenarios. The Ascend 310 is designed for the low-power computing needs of smart devices and the Ascend 910 for cloud computing. Huawei's rotating chairman Eric Xu said the Ascend 910 has "greatest computing density in a single chip," but denied that it was designed to provide direct competition for the likes of Qualcomm and Nvidia. "As Huawei does not sell chips directly to third-party companies, if you're talking about pure chip-vendors, there is never competition between Huawei and them," Xu explained at the Huawei Connect conference in the Shanghai World Expo Exhibition and Convention Centre. "We provide hardware and cloud services so if it's a hardware company or a cloud service company, there is competition here." Rather than selling the chips to third-parties, Huawei will offer them as AI-enabled modules, servers and cloud services. Xu also announced Huawei's full-stack portfolio of AI products and cloud services. These are designed to adapt to public clouds, private clouds, edge computing, industrial IoT devices, consumer devices, and any other deployments, providing optimal efficiency for any scenario, whether the priority is minimising energy consumption or maximising computing power. "'Full stack means that Huawei is able to provide AI application developers with unparalleled computing power and a strong application development platform," said Xu, one of three Huawei deputy chairmen who take turns serving six-month stints as CEO. "We are working towards making AI more inclusive – making it affordable, effective, and reliable for all. And we have what it takes to make that happen." Huawei has been attacked in the US for its links to the Chinese government, and Xu was keen to emphasise his company's desire for international collaboration. "Huawei's AI strategy is to invest in basic research and talent development, build a full-stack, all-scenario AI portfolio, and foster an open global ecosystem," he said. Xu also denied reports that Microsoft has been buying Huawei chips. "We did get in touch with Microsoft and the earliest reports on that were factual about getting in touch with Microsoft," he said. "Then the coverage kept evolving, saying that Microsoft has purchased chips from Huawei and that Microsoft has purchased massive volumes of chips from Huawei... we don't sell the chips. "The media kept saying that Microsoft has purchased a large volume of chips from Huawei. These were just rumours made up by the media. "I'm going to share with you the facts: today we have released two chips and now we can provide the test acceleration cards for our friendly customers. But from February next year, we will officially provide the AI acceleration modules, AI acceleration cards, and AI service to our customers. These are the facts." Huawei has historically focused on building chips for its smartphones but is now developing them to power other enterprise applications. Xu believes the growth of smart devices, digital assistants and data analysis will make AI a general purpose technology that will change every industry and organisation, but that the speed of adoption is yet to match the rate of developments in the technology. Huawei's AI strategy aims to increase adoption by offering faster model training, affordable computing power, AI deployment and user privacy, new algorithms, AI automation, practical applications, a real-time, closed-loop system, multi-tech synergy, platform support and talent availability, according to the company. The AI portfolio is one of five focus areas of the AI strategy. The others are to invest in AI research to develop data and power-efficient capabilities that are secure, trusted and automated, to develop an open ecosystem and talent pipeline through collaboration with global academia, industries and partners, to use AI to strengthen the existing Huawei portfolio, and to drive internal efficiencies. The products that will support these objectives include the Ascend chips series, a chip operators library and development toolkit, a training and inference framework, and application enablement for devices, edge and cloud computing through full-pipeline services, hierarchical APIs and pre-integrated solutions. In September 2017, Huawei released Huawei Cloud EI, an AI service platform for enterprises and governments. In April 2018, Huawei announced HiAI, its AI engine for smart devices. The company's new products build on its existing portfolio. These include the recently released Huawei Cloud EI, an AI service platform for enterprises and governments, and HiAI, an AI engine for smart devices. "Our full-stack, all-scenario AI portfolio is designed to provide powerful support for Huawei Cloud EI and HiAI," said Xu. "Backed by our AI portfolio, Huawei Cloud EI will be able to deliver a full-stack portfolio for enterprise and government customers, and HiAI will provide a full-stack portfolio for smart devices. HiAI services are deployed on Huawei Cloud EI."